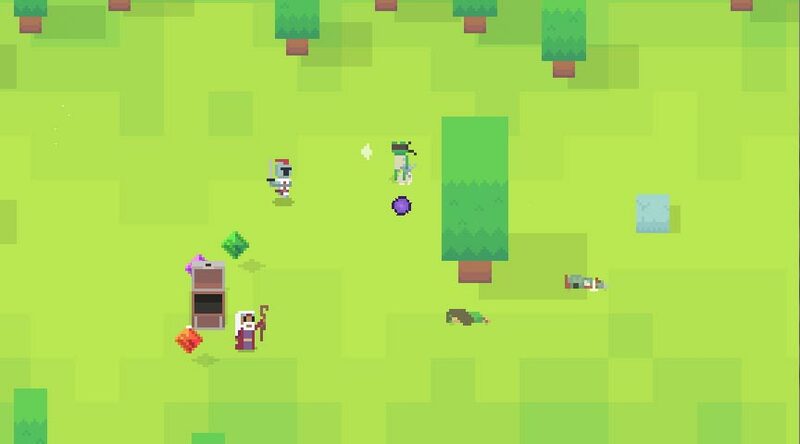 Set in a beautifully pixelated grassy meadow – a lot like where you would normally expect to encounter your first monster in any classic RPG – instead of teaching you how to fight a slime or wild boar, Dash Titans floods you with enemies to kill and gives you just the character you need(?) 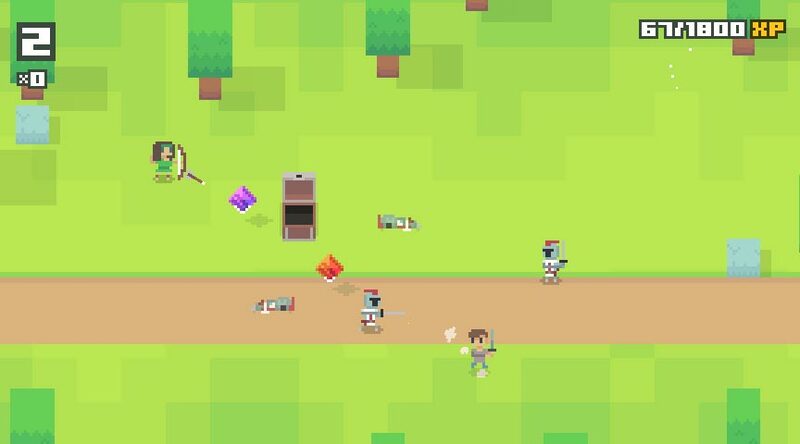 – an overpowered sword-wielding maniac who can dash through practically anything. 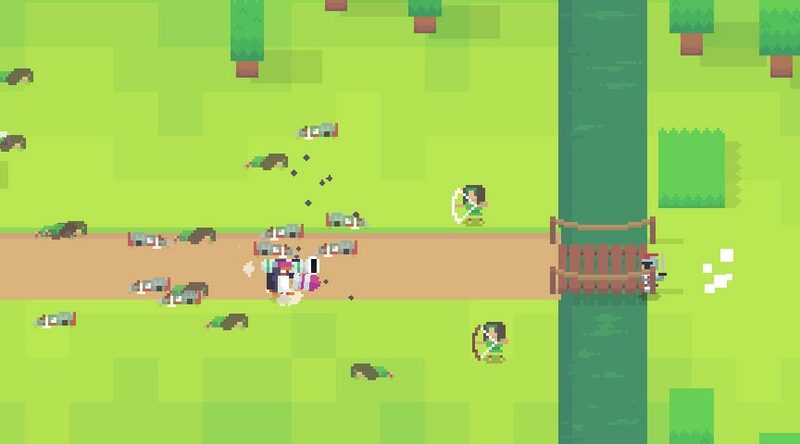 Played by either touching and swiping to move (one hand controls) or a virtual joystick and a dedicated dash button (two hand controls), your mission in this game stays the same, kill everything in sight. Just to make this already broken game seem just a little bit more broken, the unlockable characters in Dash Titans look like trash. 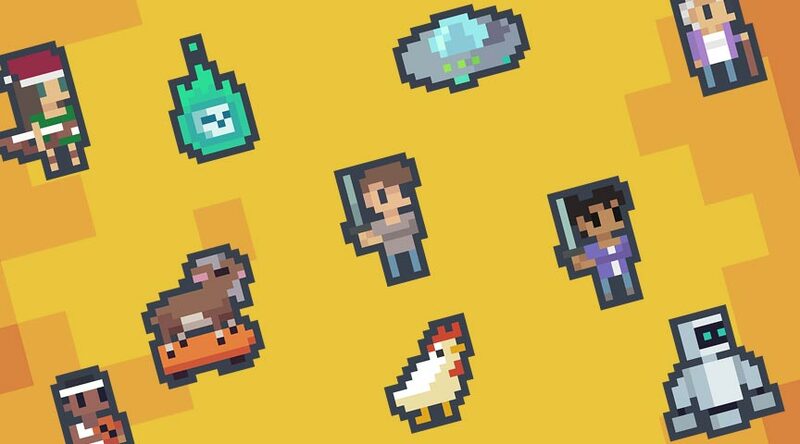 Just to name a few of our favorite unlockable characters, you can unlock a Chicken, a Whacky Grandma, a Swarm of Bees, a Farmer, and an Orange Butterfly – all of which are stupidly overpowered. 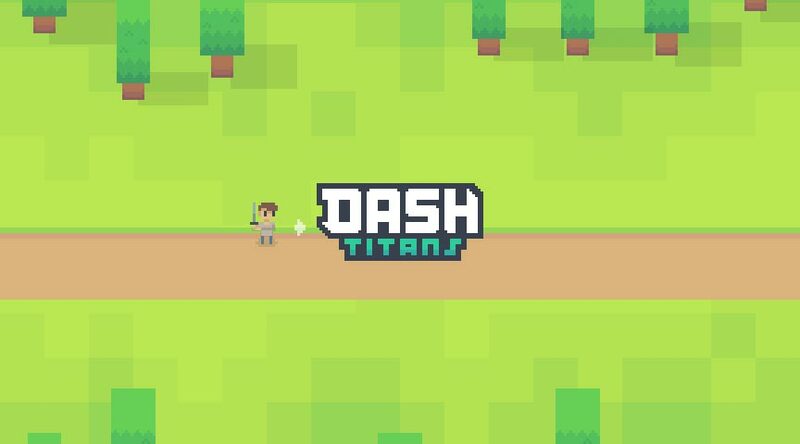 Although you will most probably feel no sentimental value toward the characters you unlock, (because they are invincible from the start), Dash Titans is still a fun game we kind of enjoyed.